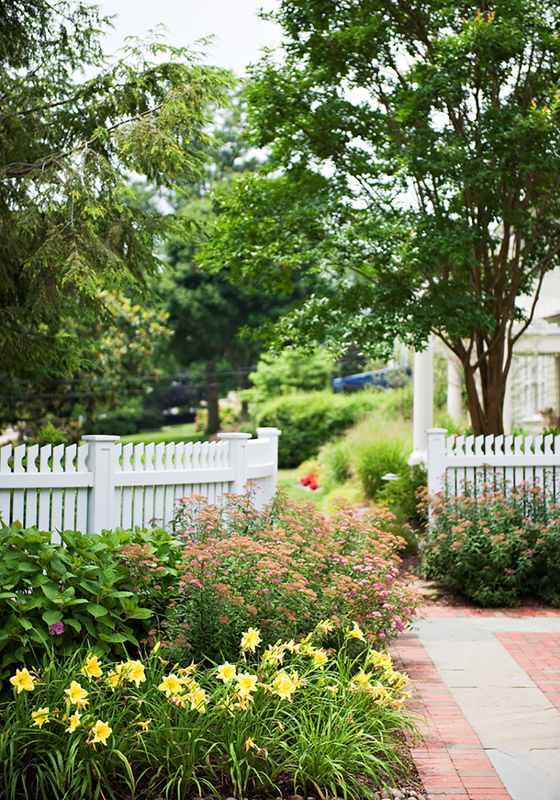 Located in Downtown Historic Annapolis, this house had recently been renovated but the landscape still felt like a leftover from the pre-renovation period. 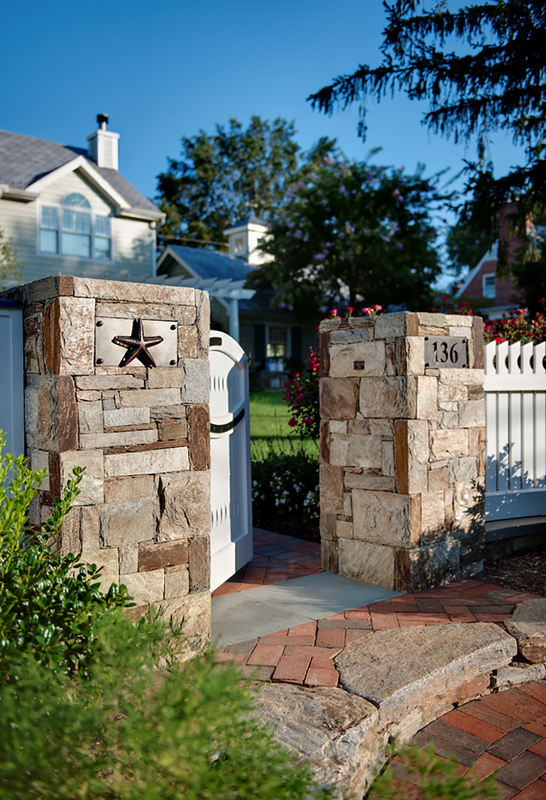 South Fork Studio was hired to redesign the landscape including new fencing for the front and side yards, as well as decorative gates throughout. 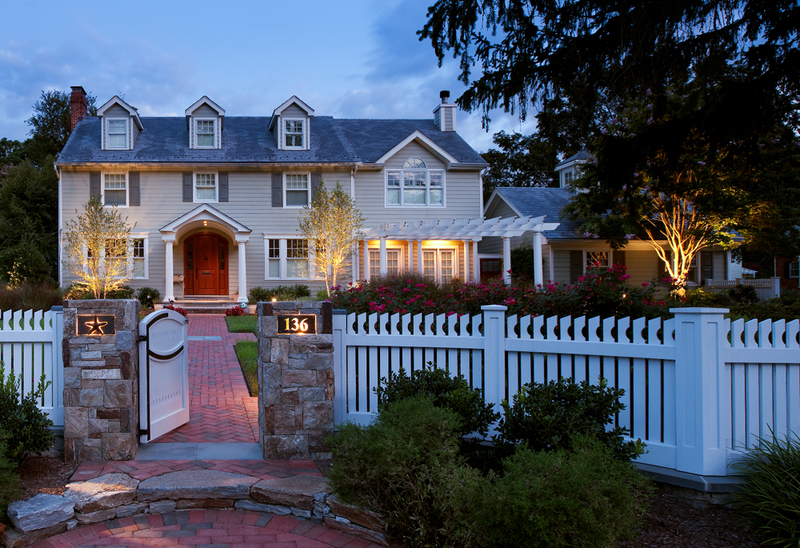 The landscape architect also designed custom bronze light fixtures that recess into stone gate columns. At night one column has the house number illuminated while the other column light features a bronze starfish which was a universal design element throughout the project. 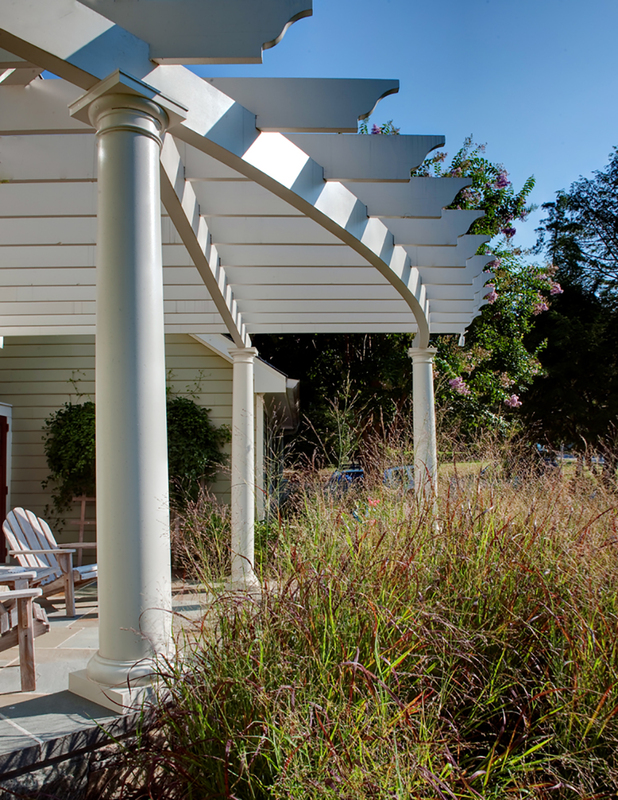 A new pergola creates connection between the family room of the house and a newly designed stone patio. 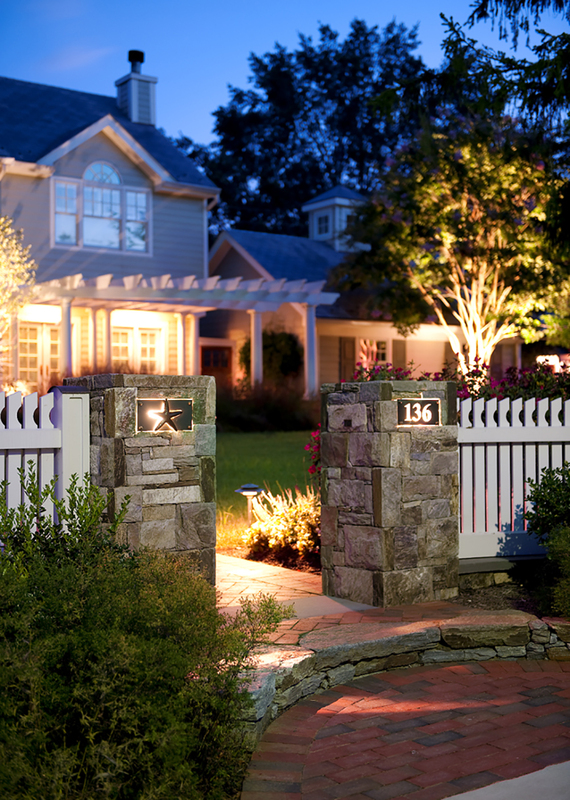 Planting design and a new low voltage lighting system pull the design together and provide the finishing touches.